Weddings can get pricey, and while you want your wedding to be something that is straight out of a fairytale, you don’t want to spend all of your savings on creating that. Setting a wedding budget can help you avoid breaking the bank and allow you to focus on the aspects of your wedding that are most important to you. But setting a wedding budget and saving for everything can be tricky. In our last blog, we gave you some tips to creating a wedding budget that is effective and helps save you money. 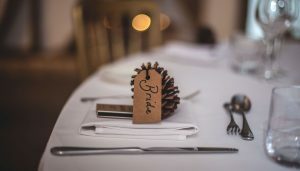 In this blog, we will give you some more tips, as well as some ideas of how to save money for your wedding! Read on for more! While it is fun to think about all the beautiful decorations, the perfect wedding gown, hiring John Legend to sing your first dance song, and dozens of twinkling lights strung overhead, this is not always the most realistic wedding plan. Unless you are personal friends with John Legend, it will be hard to get him to your wedding anyways. But the point is, when starting the plans for your wedding, be realistic about what you need, want, and should have. You will want to start thinking realistically about the plans — form the number of guests to the style of wedding you want. At this point in the budget planning phase, you should realize that some things may not work for your wedding and somethings that you really want may cost more than expected. Once you get realistic about your wedding plans it will be easier to set better expectations and start planning. Researching different vendors, asking around, and getting more information before making a decision can help you find the perfect vendor for you and your budget. Your friends who have previously planned weddings are a great source to start with. They will be able to give you tips on who to use, how to find different specials, and how they found all of their vendors. Think about what you need and look at a few different companies to compare them. Do not just pick the first vendor you find, they may not be the perfect fit for you. Doing your research can help you stick to your budget and know what you are really looking for. There are many ways to save. Whether you are saving for your wedding or cutting costs to make your wedding more affordable, there are several ways to save money in the long run. Saving money for your wedding can be as simple as reducing your spendings in other areas. Rather than going to dinner three times a week, try to only go once or not at all. While that money may not seem like a lot at the time, just remember that $50 a month is $600 a year. And you likely spend more than that on going out to eat every month. It all adds up in the end and that money can help you pay for different aspects of your wedding. Even simply taking $200 out of your paycheck to put into your wedding fund will make all the difference in the end and allow you to not spend that money on other things. Making an effort to set money aside for your wedding can help you increase your budget and not use so much of your savings. The other way you can save on your wedding is to cut costs on things you do not need. While you may really want to incorporate specific wedding details, others may not be as important and can easily be left out of your dream wedding, take John Legend for example. Although it may be a dream come true having John Legend sing your first dance song, it is something that is not necessary and likely very expensive. Cutting these types of things out of your wedding plans can help you save a ton and use the money for more important things, like the venue or honeymoon. 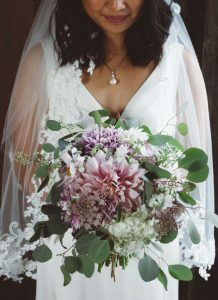 Wedding trends have turned from more formal and sophisticated ceremonies to more rustic and bohemian style celebrations. While each couple has their own style, it can be easy making DIY decorations to use in your wedding. Use old glass bottles as centerpieces during your ceremony, or make your own wooden sign. Creating your own decorations can be fun and give your wedding celebration a personal touch. Obviously, you can leave the big and important decorations to the professionals, but for the small centerpieces or decorations that may not be noticed by everyone, making them yourself can help you save some money. If you have a huge friend base, or even if you have friends with hobbies, you can use them in your wedding (if they want, of course). Whether you know someone who enjoys doing photography or one of your friends is a DJ or a musical artist, you can uses your friends in your wedding. Not only will they be able to give your photos or music a more personal touch since they know you both, but they will likely give you a better deal than a professional vendor. There are many ways to save on and for your wedding, from watching movies at home to cutting out the swan ice sculpture. It is important to think about what you truly need at your wedding and what you just want. Just be sure not to go into debt for your wedding, you want to be able to enjoy your lives after your wedding as well, so save some money and only get what is essential to your wedding. At Bohemia River Overlook, we can help you find the perfect venue for your wedding. We want to give you the perfect locations for you wedding at a reasonable price. Check out our different locations and contact us today to schedule a tour!